Rules and Regulations of bounced cheque Law in Dubai UAE. 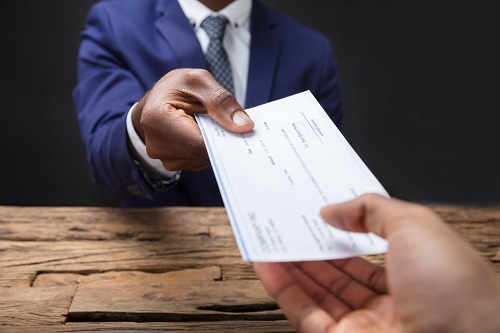 Bank cheque is a tool used by individuals to secure funds, contract business and pay obligations, but not all of them have the ability to fund these cheques and the volume of bounced cheque cases have sky-rocketed over the years. To address this ever-growing state of affairs, the UAE Government has established a set of rules to guide both the issuer and the recipient of Bounced Cheque. There are several UAE Laws that can be utilized to protect the recipient of Bounced Cheque and they can be done either in the criminal or civil court. The recipient can file a complaint in the police station against the issuer and the case will be forwarded to the public prosecution and then to the criminal court (under the new rules, the public prosecution, in an effort to adjust with the volume of cases with low-value claims, can now issue criminal orders to sentence offenders of low-value bounced cheque to pay fines rather than endure jail time). According to a recent study, the UAE Public Prosecution categorized low-value cases like the ones where the bounced cheque amounts less than AED 200,000 hence the only issuer of cheques with an amount more than AED 200,000 are doomed to be sentenced with a jail term. The recipient can also institute a civil action against the issuer for the amount of the bounced cheque and if the issuer cannot pay the amount, he can be imprisoned for a period corresponding to the unpaid amount. As for the issuers, particularly for low-value cheques, they can avoid imprisonment by simply paying the fine corresponding to the cheque amount; however, this does not absolve them from paying the obligation when the recipient opted to institute a civil action to collect the amount due. For more detailed discussion of the intricacies of the Bounced Cheque Law in the UAE, you may contact Al Reyami Advocates and Muhyealdeen International Legal Consultants. Are interest provisions in a loan agreement valid in the Arab Region? Cyberbullying, Insulting, Hurtful comments in Social Media is a crime in Dubai UAE. To book an appointment in all the above location, kindly contact us on +9714 453 4188. Copyright © 2018 Al Riyami Advocates and Muhyealdeen International Legal Consultants.